Thousands of miles from Hawaii, Durangoans are practicing sacred Hawaiian hula and keeping the spirit of aloha alive. During its practice sessions, the group learns traditional dances that tell stories passed down as part of the oral culture. “It is sacred in that it comes from an ancient lineage,” said Maile Kane, who is Hawaiian and a member of the group. 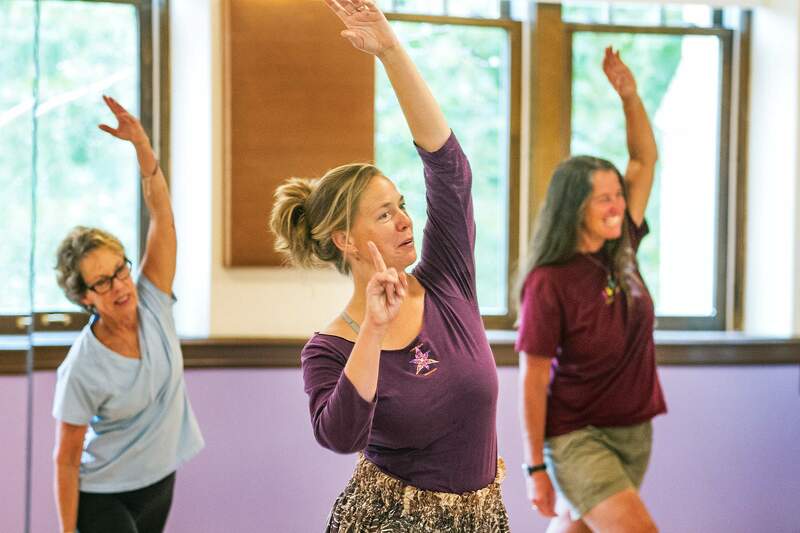 In hula, the dancers keep the rhythm with their feet, knees and hips, while they tell a story with their hand motions, said Ananda Foley, who leads the dance practices. The group spent the last year practicing at the Inhabit building, 1970 East Third Ave., which overlooks the Animas River, and found a connection to the landscape. “In Durango, our view of mountains in the distance, light on the surface of the river and plenty of bird activity became our inspiration for cultivating aloha, the appreciation of beauty and love for our town,” Foley said. As part of living aloha, which includes giving back to the community, the group performed a traditional dance to acknowledge and heal the Animas River at the Durango Autumn Arts Festival. Seeing dance as a gift rather than a performance is also in line with the tradition of hula, Kane said. The group recently moved to the Smiley Building and gathered Monday morning to practice its meditative dance. Some dancers wore long flowered skirts, others shorts and pants. Several bring a personal connection to Hawaii, as former residents or visitors, as well as a love for the dance’s grace, storytelling and beauty. 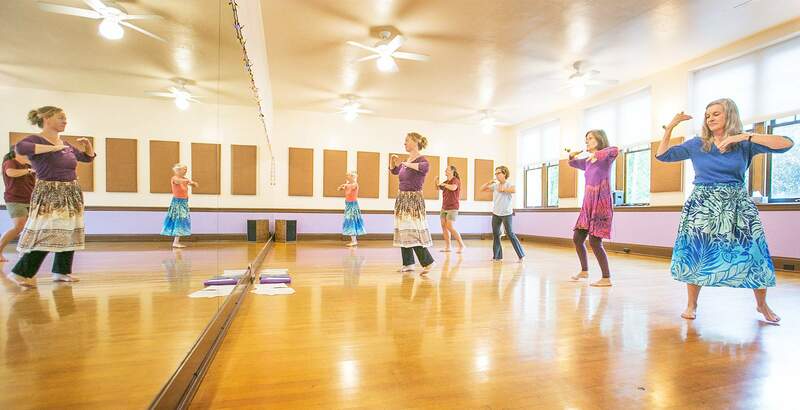 Ananda Foley, center, leads her Sacred Hula class at the Smiley Building. The dances tell stories passed down through oral tradition. 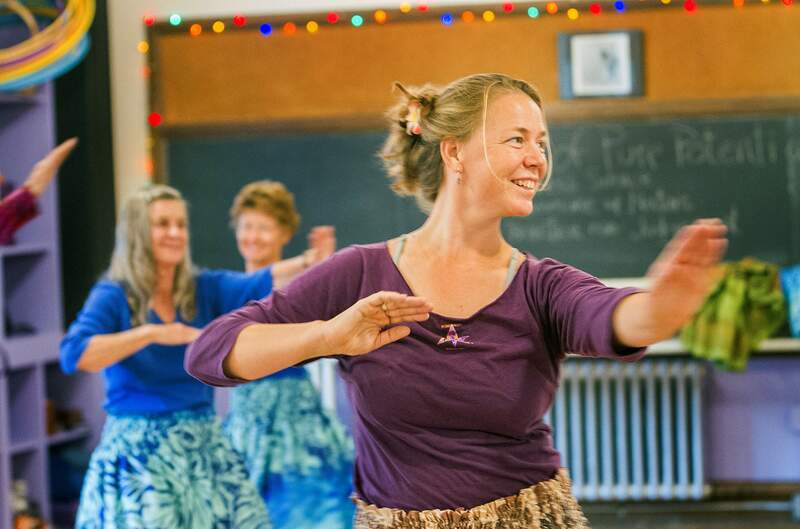 Ananda Foley, left , leads her Sacred Hula dance class at the Smiley Building. Following Foley’s lead from the right is Rose Stout, Liz Volz, Dot Larson, Deb Schultz and Elizabeth Anderson. While hula dancers keep a rhythm with their feet and hips, they use their hands to tell stories. Dot Larson, left, and Deb Schultz, right, listen to instructions from Ananda Foley at her Sacred Hula class at the Smiley Building.